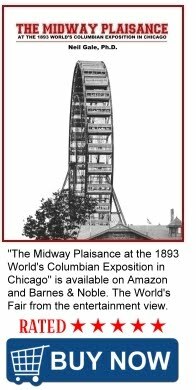 The Digital Research Library of Illinois History Journal™: Buried Under the World's Largest Pickle Farm in Chicago. 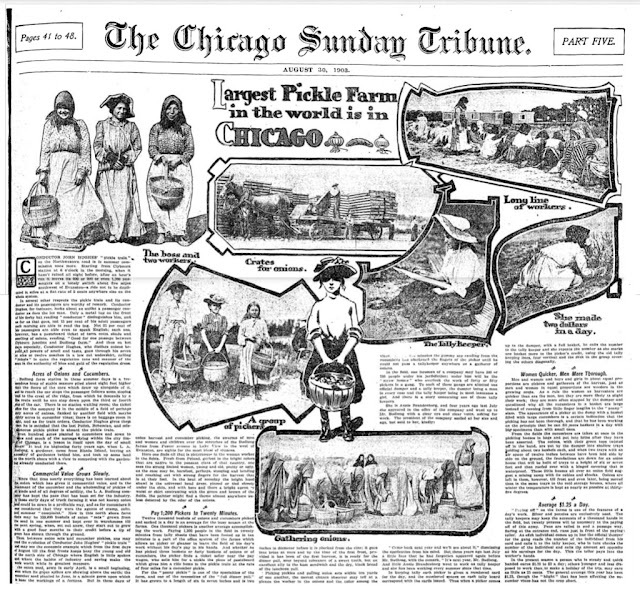 Buried Under the World's Largest Pickle Farm in Chicago. 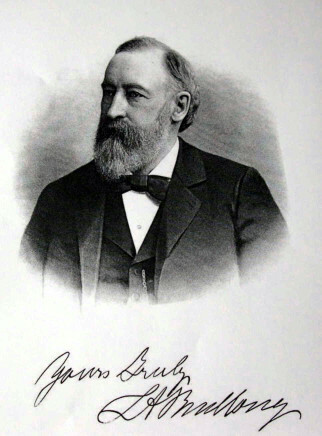 Meet Lyman Budlong (1829-1909) a remarkable pioneer in the pickle industry, who built a massive farm of 700 acres in Bowmanville, Illinois; today Bowmanville is a neighborhood in the Lincoln Square community of Chicago. He grew tomatoes, onions, carrots, and lettuce but his huge money crop was cucumbers which he processed into one of the largest supplier of premium pickles in the World. In later years he changed to flower growing in a huge number of greenhouses. Mr. Budlong discovered graves on his property! 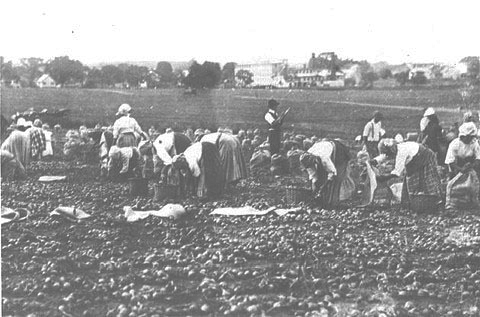 At the peak of his vegetable operation circa 1900 he seasonally employed about 1500 women and children as well as 800 men harvesting 12,000 bushels in a day, 150,000 bushels of cucumbers per year. 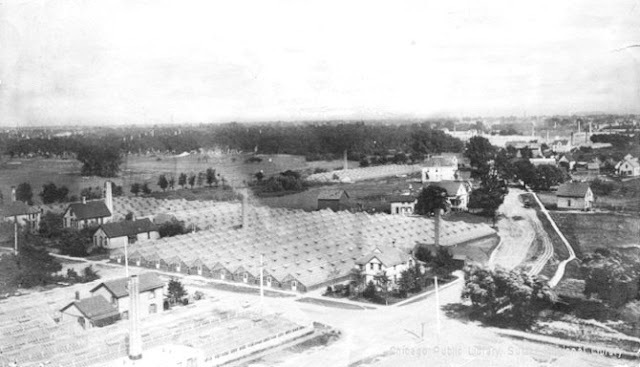 The area was known as Budlong Farm which (now is called Budlong Woods) extended from Chicago’s; Bryn Mawr Ave on the north (5600 north); Foster Ave on the south (5200 north); Western Ave on the east (2400 west); and the North Shore Channel (built 1907-1910) on the west. 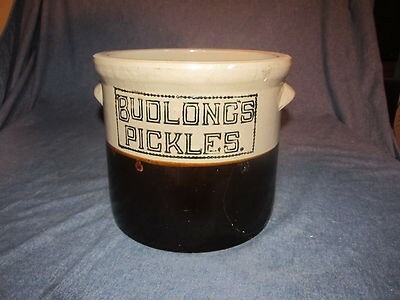 The 700 acre Budlong Farm and Budlong Pickle Company was sold to my aunt’s family in 1908. When her father, George Hathaway retired in the late 1950s he sold the company and it was eventually absorbed by Dean Foods. 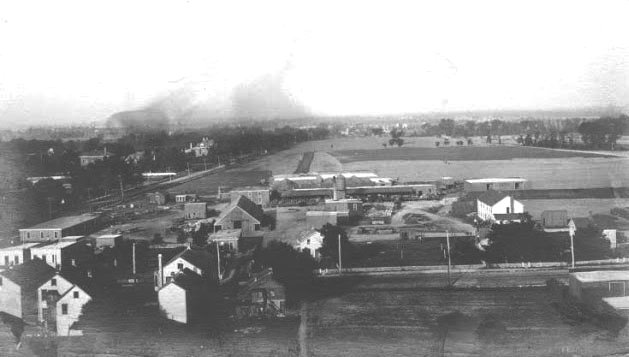 The area was known as Budlong Farm which is now is called Budlong Woods. Photo © Jennifer Sherman Yonesawa. 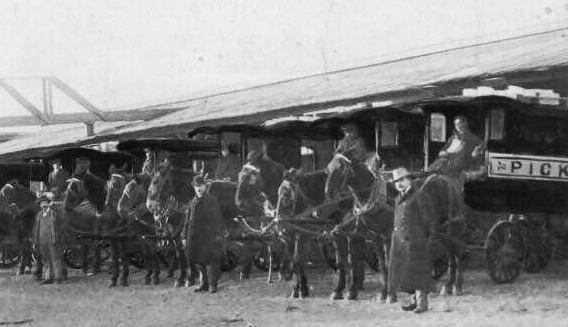 One fine day, Lyman was excavating for a gravel pit on the far west edge of his farm and found an Indian burial ground is in the middle of California Avenue, (2800 west), 10 rods (165 feet) north of Foster, (5200 north) at about what today would be 5215 N. California Avenue. Chicago, Tribune, Sunday, August 30, 1903 - page 41. Fourteen skeletons were found arranged in a circle, with their feet pointing to the center of the circle. The Indians were probably Potawatomis and were of the Bowmanville Indian Village. 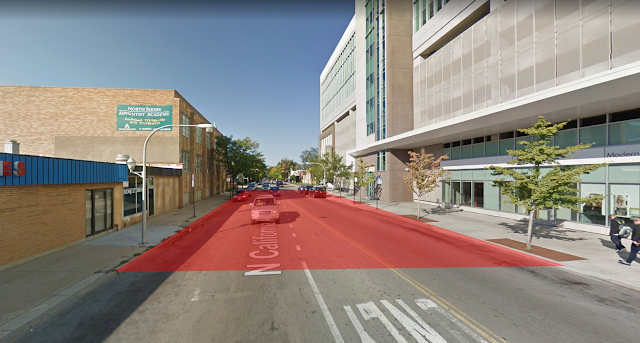 The account further described the location as “when California Avenue is opened, the site will be in the highway.” Today this location is in the shadow of the Swedish Covenant Hospital complex. A second reference to this burial location is found in the book "Evanston, Its Land and Its People," published in 1928, on page 65, by Viola Crouch Reeling of the Fort Dearborn Chapter, Daughters of the American Revolution. "A gravel pit excavated on the Budlong farm in Bowmanville in 1904 disclosed to view a grave containing fourteen skeletons buried in a circle, with their feet toward the center. The bodies were apparently well preserved until exposed to the air, when they crumbled, leaving only the skeletons. This was probably a Potawatomi Indian grave." There is no record that the graves were relocated. Lyman Budlong himself died November 6 1909 and was buried next to his wife, Louise Newton Budlong, in Rosehill Cemetery, just a stones throw from his massive pickle empire and not all that far from the 14 buried Indians.